If the Gospel doesn’t change how you see others, you don’t really get it. Religion is great. Except when it comes to how we relate to other people. 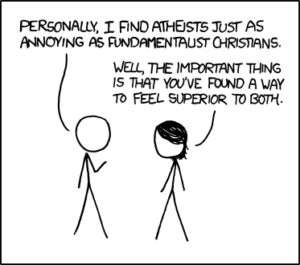 Every worldview has this problem. Capitalism works perfectly, except for “those people” who take advantage of the system. Socialism works perfectly, except for “those people” who won’t do their fair share. See? The Gospel of grace is perfect, except for “those people” who would use it as license to sin. But who decided who “those people” were in the first place? There’s the real problem. The first thing we do with any great new idea is twist it into a way to feel better than other people. Focus on “those people” and you’ll miss God. During college I came to profoundly understand God’s grace for me. God lifted the smothering blanket of fundamentalism and let grace flow in like fresh air. But in almost the next breath, I started feeling sorry for those folks who didn’t know what I knew. By feeling sorry, I mean judging them. Maybe they weren’t as informed as I was. Or maybe they were repressing the gospel so they could control people! This attitude is everywhere. Vegetarians are superior to carnivores. Vegans are superior to vegetarians. Hybrids are superior to SUVs. Unless of course, you’re a carnivore SUV driver. Then you have all your own reasons why those Hippie tree-huggers are silly. But this is what we do! We create tribes. We always have. The tribe lets you know who is safe and who is not. Perhaps this was smart behavior when people never left the valley where they were born. But it doesn’t work anymore. We all live in the same valley now. When you combine this natural tribal behavior with our desperate need to prove our own value, you get hostility. That hostility takes a variety of shapes: racism and sexism, ethnic jokes, fear that “those people” are taking our jobs. There are a hundred other flavors. Intentional spirituality (and, I think, the Gospel) requires a different way of thinking. Why? Because when I am focused on “other people” (and how I’m better than they are), I can’t see the truth about myself. If I can’t see myself accurately, it’s hard to grow. “Those people” become a distraction. Especially if God is wanting to do something difficult or painful in my life. The answer is not that we need to be more tolerant. Instead, we need to understand the gospel more deeply. It’s funny. Ironic even. In Portland, where I live, Christianity is broadly seen as a force for exclusion. And yet, when I read the New Testament I see just the opposite. What kind of attitude does reconciliation bring? In Ephesians chapter 2, Paul talks about “those people.” He mentions two groups: the religious “in” people and the religious “out” people. 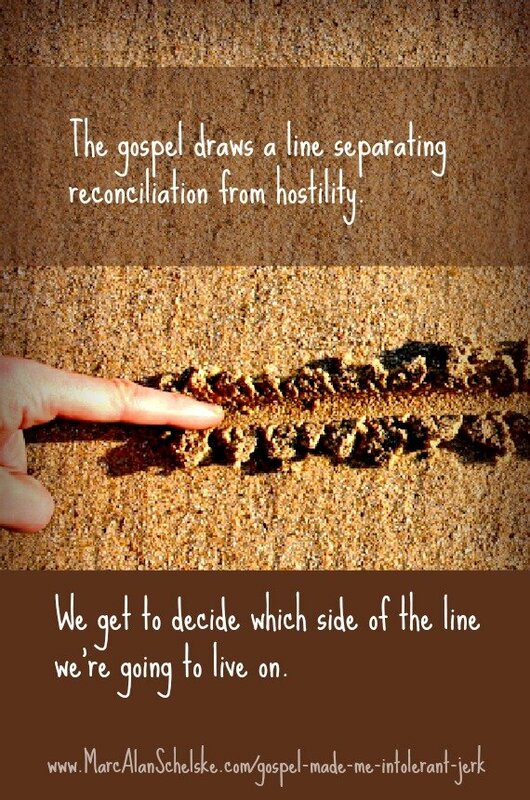 The gospel draws a line separating reconciliation from hostility. We get to decide, you and I, which side of the line we’re going to live on. I can relate to people on the basis of how they are different from me (and how I am better). This gives me a platform of personal value to stand on. “See how I’m not like them? Thank God!” But if I understand what Jesus did that wall of hostility is broken down. They are no longer “those people.” They are people that Jesus brought peace to, just like me. If that was my starting point, my attitude toward them would be different. Why? Because I’d be relating out of different assumptions. God is working in their lives too, whether I can see it or not. They are human beings with dignity made in God’s image. And God gave everything for them, just like God did for me. We don’t know where God is working or in whom. We can choose to see every person as someone God is working through, and approach them with respect, dignity, and the expectation that God is up to something. Not only would this change how we treated the people around us, but we’d find ourselves seeing God in the strangest of places. The first thing we do with any great new idea is twist it into a way to feel better than other people. Tweet that! When I am focused on “other people” (and how I’m better than they are), I can’t see the truth about myself. Tweet that! 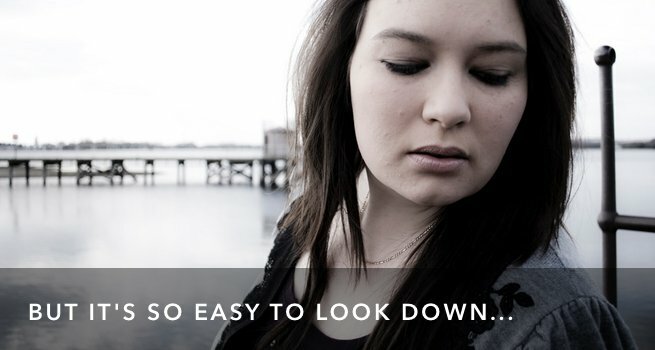 How does the Gospel change the way you see the people around you?